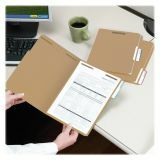 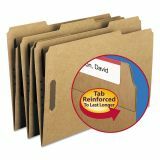 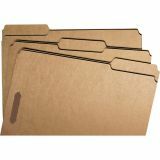 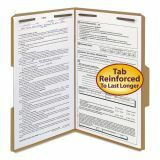 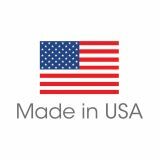 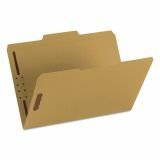 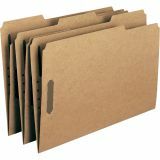 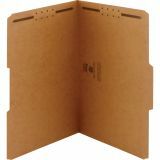 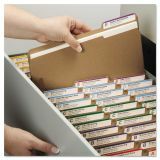 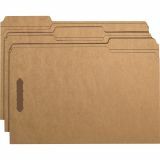 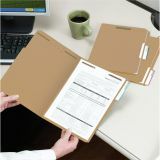 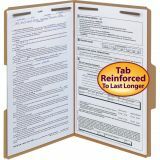 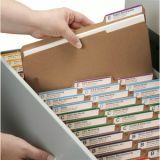 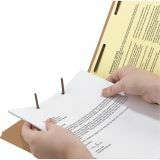 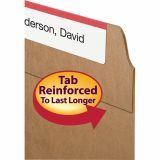 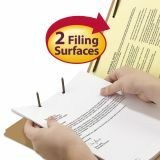 Smead 11 Point Kraft Folders, Two Fasteners, 1/3 Cut Top Tab, Legal, Kraft, 50/Box - Folders feature enamel-finished fasteners to provide superior strength, holding large amounts of paper securely and in sequence. 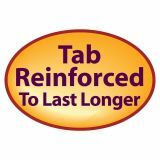 Double strength tabs in assorted 1/3 cuts. 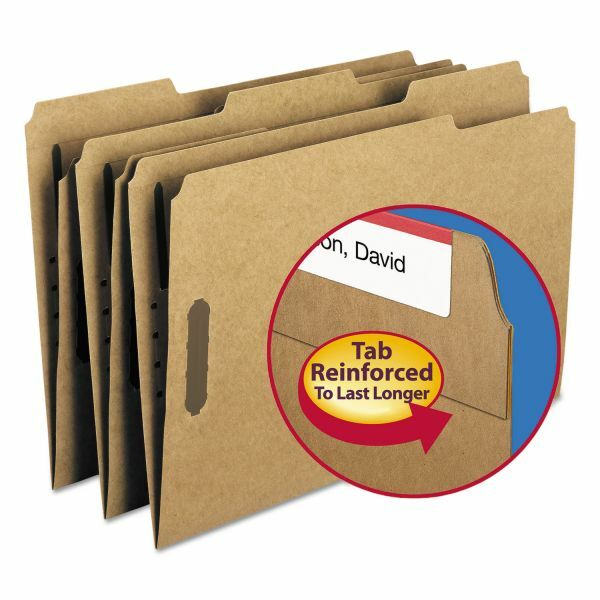 Fasteners offer 2 capacity.